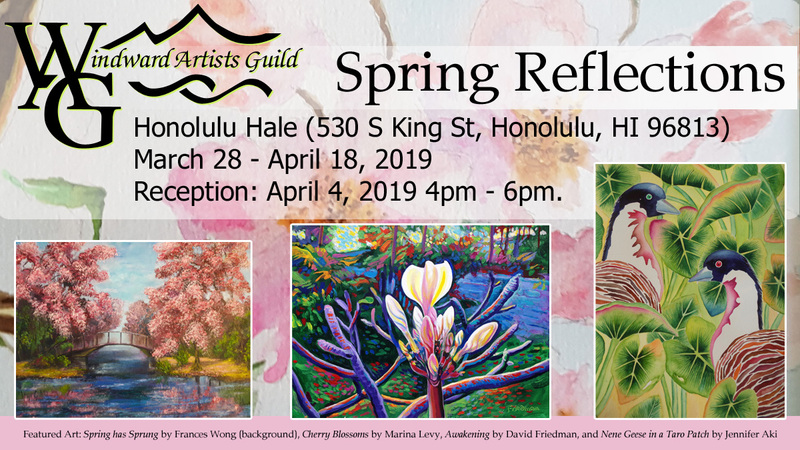 Please join us at Honolulu Hale for the opening reception tomorrow, April 4, 2019 from 4 - 6 pm. Inexpensive metered public parking becomes free after 5 pm in the underground municipal lots. Entrances to the parking garages can be found on Beretania or Punchbowl Streets. The show is on display until April 18, 2019. There will be light refreshments and an awards ceremony at 5 pm. The Windward Artists Guild is a non-profit, volunteer, member guild, organized in 1960 by a group of Windward artists. Through education, collaboration, encouragement, and exhibitions, the Windward Artists Guild supports and promotes the production and appreciation of the visual arts. 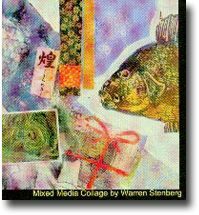 The Windward Artists Guild publishes a newsletter nine times a year. Founded by Gini McCall, Rosalie Prussing, Lucille Cooper, and Betty Decker with the assistance of Juliette May Fraser and David Ash. There were 12 charter members. Began with an exhibit at the Windward Theatre, auctioning art for the benefit of the Castle Memorial Hospital. WAG (Windward Artists Guild) is a non-profit artists guild offering group juried exhibits, workshops, educational grants, and social opportunities with other art lovers. Founded by a group of windward Oahu artists (Gini McCall, Rosalie Prussing, Lucille Cooper, and Betty Decker with the assistance of Juliette May Fraser and David Ash) in 1960, its first event was an art auction to benefit Castle Hospital. The charitable roots of the foundation continue to today with grants to local art teachers and art events that increase interest in the arts.